The Corda Spiritus Chamber Players. This Sunday 5 August from 2pm the superb Corda Spiritus Chamber Players from Brisbane are making a welcome return to play in the Swigmore Hall at Robert Channon Wines. The programme is Schubert’s String Quintet in C Major and Beethoven’s Septet in Eb Major. Robert Channon said Franz Schubert’s String Quintet is “filled with beautiful and dramatic melodies and features two cellos which give a deep, rich texture to the music”. “The cellists will be Daniel Holloway and Ngaio Toombes,” Robert said. 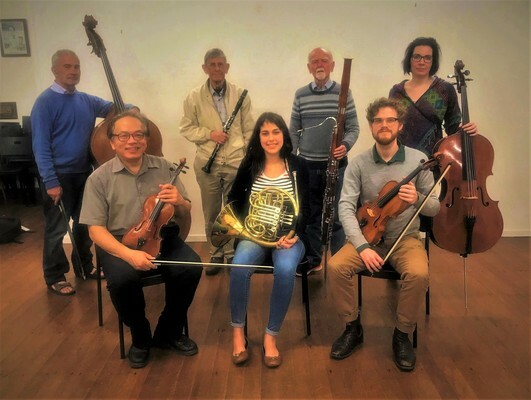 “For Beethoven’s very popular Septet, the strings will be joined by Floyd Williams, clarinet, Peter Musson, bassoon and Joumanna Haddad, French horn. Tickets for the concert are $25 and include a glass of wine in the interval. For bookings call 4683 3260. Robert Channon Wines is at Bradley Lane off Amiens Road, Amiens. Lunch is also available before the concert at Paola’s at the Singing Lake Café. Bookings for lunch are essential.